Love owls? What if you could be one? Come and see the world from treetop height. 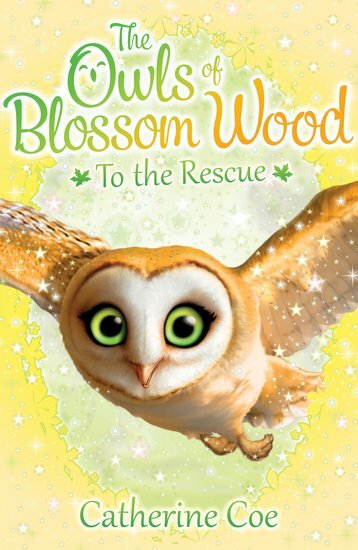 When Katie, Eva and Alex hide inside a hollow tree trunk in Kate’s garden, they’re whisked away to a magical wood where they’re no longer girls but owls! Blossom Wood has been waiting for them – the wrens have lost their voices, and they’re so unhappy they won’t leave their nests. Can the Owls of Blossom Wood save the wrens’ birdsong in time for a magical concert? For even more fun with The Owls of Blossom Wood check out www.theowlsofblossomwood.com where you’ll find loads of exciting activities, videos and a brilliant online game! NC790L Lexiles are the global standard in reading assessment. They are unique as they are able to measure a child and a book on the same scale – ensuring the right book gets to the right child at the right time.